Perform in the gemstone of Sydney, Australia at the world renowned Sydney Opera House at the Australia Festival. 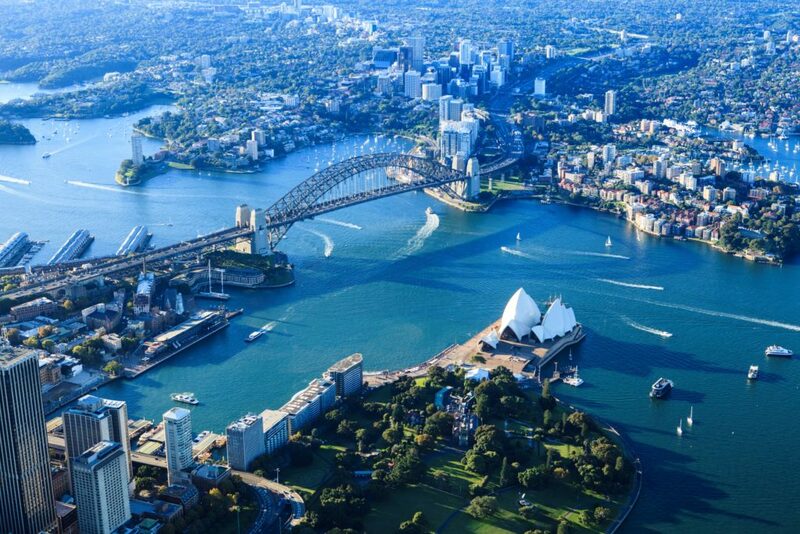 On the edge of one of the most beautiful natural harbours in the world is the Sydney Opera House. The Opera House, which features architectural shells designed to look like sails, is one of the 20th century’s most famous and distinctive buildings. While not performing, explore the vibrant and diverse culture that Sydney has to offer and interact with music student from around the globe. Registration of interest is now open for the inaugural WorldStrides Australia Festival held in Sydney early July 2017. The festival is open to all secondary school music ensembles and will comprise of music workshops, an adjudication and an opportunity to interact and learn from other music students from around the globe. The festival will include an opportunity for students to perform for a panel of professional musicians during an adjudicated Sydney Opera House performance. The adjudication panel will select one esteemed ensemble to perform at a ticketed evening performance in front of a public audience on Monday 10 July. Festival packages can be tailored to suit school’s needs and requirements, with the official festival proceedings taking place on Sunday 9 and Monday 10 July. Click here or complete the form below to register your interest.